This past weekend we went to the Dave Matthews Caravan at Randall’s Island. This was the show that was supposed to be on Governor’s Island the weekend that Irene hit. There was a sense of gratitude amongst the crowd for the rescheduled show. DMB fans are a mellow lot. Walking the grounds, taking in the essence of the place, both Gary and I felt the exact same way. This vibe was – to quote David Byrne – same as it ever was. The vendors sold the same beads, crystals, t-shirts and leather crafts that they did 30+ years ago. People were dressed pretty much the way they were when we were younger. The crowd still came to hear the music, hang with friends and be outside to soak in what makes them feel alive. Sure we were the people that a young couple came up to inquiring where the medical tent was; hell, we were the parents for g-d sake! But for the most part if I closed my eyes I could have been my daughter’s age. Ok, I admit it. There are a few musicians that can do no wrong in my book. The list is not long and I am very loyal. Dave Matthews has been at the top of that list for quite awhile. Aside from loving his music, he is socially conscious, is incredibly offbeat (which we all know that I love) and I always had this feeling that he was just a really good guy. This was confirmed this week in a post on Fab at Fifty. You can read the original post here. It is written by the founder of the site Geri, who I do not know but we happen to share a close friend. The mom in this story is the sister of one of my original girls from childhood. Truth be told, we were afraid of Jill when we were younger, but we have outgrown that – she is a lot less scary now that we are not 14 . Right there on the street he spoke to Jill because, well because he is a great guy. Me: Oh man, my kitchen is literally ant infested. There must be hundreds of ants crawling all over my kitchen counter. Dr. Jimmy: Ants marching? 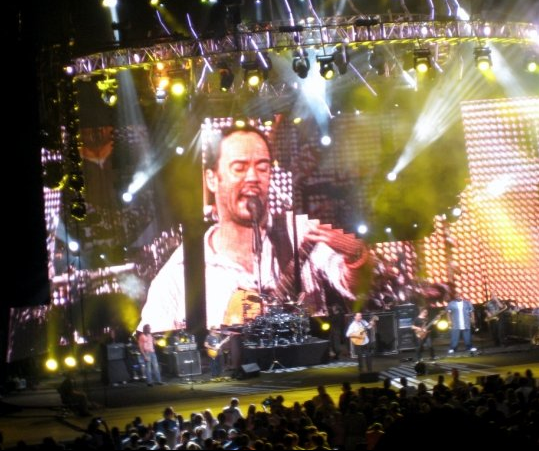 It goes with the whole Dave Matthews thing for you this week, you should like that. Gotta love Dr. J, he can always put a happy little spin on a bad situation. Yes, I just got home from the Dave Matthews show at the beach. And yes, it reminded me ‘Why I Am’. Just standing in the Jones Beach Amphitheater – even in the bad seats – on a July night, with the smell of the ocean all around me, I am quite sure this is ‘Why I Am’. Hearing the music I love (that I discovered before my kids, the DMB groupies, thank you very much) I realized there is nothing like a night like this to soothe the soul. It occurred to me that I am usually that person. I guess that’s Why I Am. There are a handful of moments in advertising history that have touched the souls of those who see them. One of the more famous examples is the Mastercard Priceless campaign. This past week, one of my mommy idols could have starred in one of these commercials. The scenario: The Dave Matthews Band was playing on the Plaza in the Today Show Toyota Summer Concert Series. Both my friend and her 10th grade daughter are huge fans of the band. 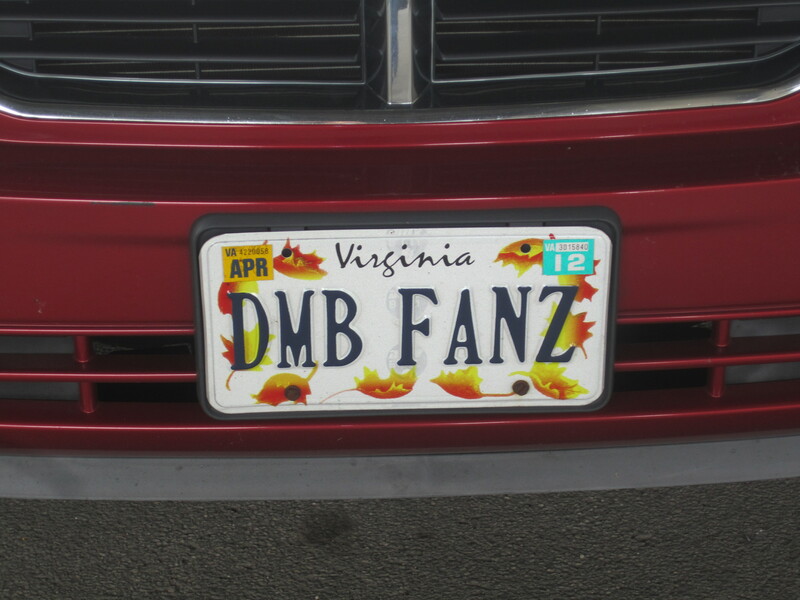 In fact, they are a full DMB family of fans. This particular friend has found herself to be an unlucky member of the Sandwich Generation. Many of us are in the midst of raising children at the same time we are dealing with aging parents with health problems. Being an only child of a widowed mom, she is the healthcare concierge extraordinaire. Last week was a particularly harrowing one on that front. Enter the opportunity to go into the city at some ungodly hour (3:30 AM) to stand in line for the concert. She was all set to take her daughter and a friend until the weather turned nasty and she began to rethink the event. At this point her college-aged son pulled her aside in a sage-like manner and told her that she would never forgive herself if she missed this opportunity of a lifetime that her daughter would never forget. (please note: said son aspires to be a documentary film-maker). Funny how our kids spout back at us what we have taught them. …she screamed out, ‘Dave, I love you” during a lull in the performance and he turned around and smiled at her. Kind of like a young girl’s dream come true. Wait, it gets even better. During the show they gave out foam guitars to the audience. The daughter’s friend was holding one. After the show, Dave came around and signed the guitar! And the friend? He decided that since he would not have been able to go to the show with out her, gave the guitar to this very lucky girl. I know, Time to Cry all the way around. I love this story. Not only because the main character is one of my main women, but because every step of the way it was about what I like to call ‘the good stuff’. Truly a priceless experience. Here is a picture of the two happy teens on the train ride home. The inset shows the Dave Matthews sig.